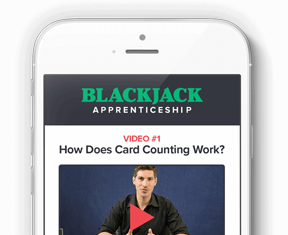 Many blackjack players live in fear of “The Griffin Book” and other databases that offer similar “counter catcher” information, like the Oregon Surveillance Network and Biometrica. But what is the Griffin Book, and should we really be afraid of it? 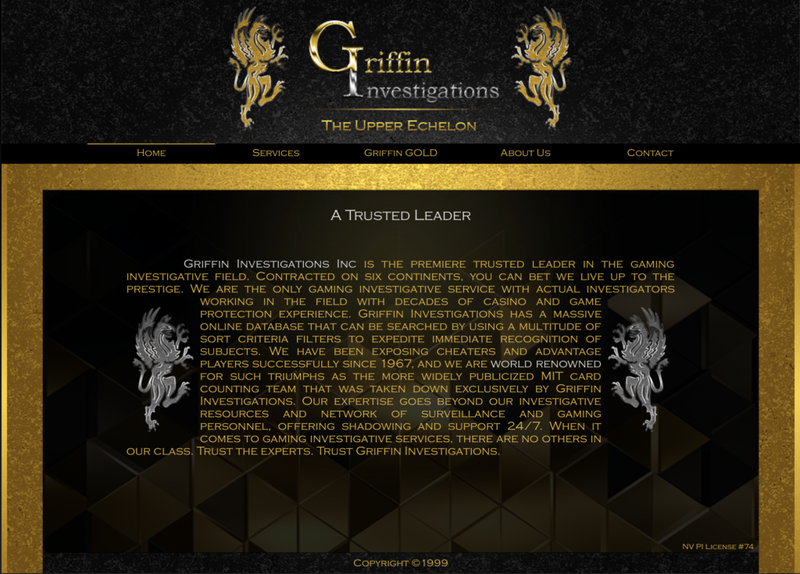 Beverly S. Griffin and Robert R. Griffin founded the Griffin Detective Agency 1967 as an investigative firm that supported the gaming industry in Las Vegas. The agency investigated and reported on people suspected of cheating or advantaged play in casinos. If a gambler was either cheating or beating a game, the Griffin Agency took the patron’s picture and added it to “The Book.” This “book” became a prized commodity among casino operators nationwide and internationally. Casinos paid for copies of the agency’s latest intelligence on undesirable casino patrons in order to augment their own surveillance departments and expedite player skill evaluations. The information was so valuable to casinos, that the Griffin Detective Agency even had several illegal, private casinos on their client list. In the early days, a casino would contact a Griffin detective when a they suspected someone of advantaged play or cheating. In the days before easily circulated digital records, Griffin performed the evaluations in-person. The detective showed up at the casino and an impromptu evaluation was conducted on the suspicious player. This kind of detective was depicted in Ben Mezrich’s well known novel, Bringing Down the House, as the “sliver haired” man who follows the MIT card counters across the country on a witch hunt to shut them down. While Mezrich’s novel was admittedly a work of fiction, loosely based on early MIT card counting teams, Mezrich did base the silver-haired character on real encounters MIT players had with Andy Anderson, a Griffin detective that joined the agency sometime in the early 70’s and worked as a lead detective for many years. While the character’s actions in the book are largely fictional, Andy Anderson has been interviewed in television programs, such as the History Channel’s “Breaking Vegas” documentary series, where he personally connects himself to the “silver-haired” antagonist in Mezrich’s novel. Fast forward a few years and the Griffin Detective Agency became Griffin Investigations, and started distributing information, mostly electronically, to their casino subscribers. This was the beginning of disaster for Griffin Investigations. The agency formed with the purpose of identifying both cheaters and advantaged players. However, somewhere in the process, they made a fatal error by not clearly distinguishing cheaters from advantaged players. Many players who were legitimately beating games, were labeled “cheaters,” either intentionally or unintentionally. This led to many more serious oversights by the users of this information: the casinos. Well known advantaged players, Michael Russo and James Grosjean, filed a defamation lawsuit against Griffin Investigations for supplying information to Caesar’s Palace, which led to their arrest and detention in April of 2000. Caesar’s Palace arrested them on grounds they were cheating at a 3 card poker game; an allegation that ultimately would not hold up in court. With the aid of Las Vegas attorney, Bob Nersesian, Russo and James won their case in June of 2005. As a result, they received punitive damages from both Griffin Investigations and Caesar’s Palace. In the aftermath of the lawsuit Griffin Investigations quickly filed for Chapter 11 bankruptcy in September of the same year. After coming out of bankruptcy, Griffin Investigations, to this day, circulates information about undesirable casino patrons; even a database that tracks jackpot winners in hopes of detecting “fraudulent activity.” The company claims that all of their services are conducted with better safeguards to prevent labeling advantaged players as cheaters. The reality remains for card counters: whether it’s Griffin or somebody else, as long as blackjack remains beatable! Yes, there will always be databases filled with the faces of people who are beating it. Welcome to the game within the game! Our advice is to let the ghosts chase themselves. Just focus on beating blackjack. Sure, someone upstairs might be watching, but does that change the true count? Does that change why you walked in the door? Griffin Investigations has existed since the 60s and yet advantaged players continue to play. The most successful APs we know (ourselves included) made more money AFTER they got in “the book” than before. If you choose to beat blackjack it’s inevitable that you’ll get your picture in a few yearbooks you never wanted. But take heart… it just means they’re more afraid of you than you are of them.